The General Services Administration has asked shortlisted contractors to submit proposals for the construction of a consolidated FBI headquarters building that will receive $1.4 billion in funds under President Barack Obama’s budget for fiscal year 2017. The FBI Headquarters Consolidation Project is part of GSA’s program to comply with the administration’s goal to improve operational efficiency and reduce federal environmental footprint, GSA said Friday. “The consolidated headquarters facility will allow the FBI to perform its critical national security, intelligence and law enforcement missions in a new modern and secure facility, ” said Bill Dowd, project executive for GSA’s public buildings service. “We appreciate Congress’ support of the project through the inclusion of $390 million in the fiscal year 2016 omnibus, ” he added. 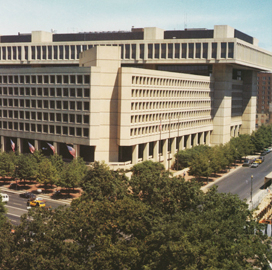 GSA’s request for proposals is for phase II of the project, which calls for the establishment of a 2.1 million-square-foot facility that will offer rentable spaces and combine all FBI offices at the J. Edgar Hoover federal building and other locations across the Washington D.C. area into the new fampus. GSA is currently conducting the National Environmental Policy Act assessment process for the project and has identified two potential sites in Maryland and one in Virginia for the new FBI building.